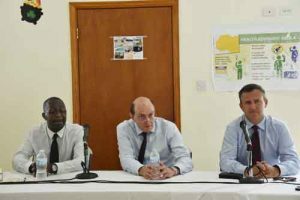 Whether it was by design or coincidence, the Hon Mark Lancaster UK Minister of Defence paid a visit to Montserrat, seven weeks after Lord Tariq Ahmad, FCO Minister made a visit in time to launch the Police – Heliconia Star vessel into operation. The visit came at the official start of the hurricane season. 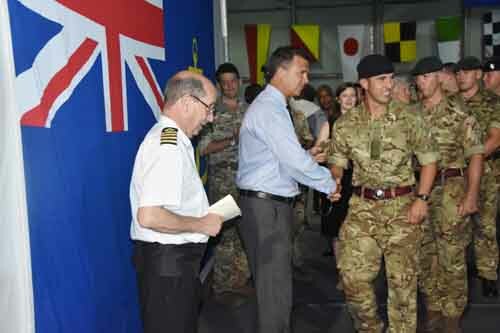 This visit just after on July 26, 2018, by Minister Lancaster, the first by a Defence Minister reportedly in over 30 years, coincided with the presence of the Royal Fleet Auxiliary (RFA) Mounts Bay which arrived in the Little Bay port early the day before. 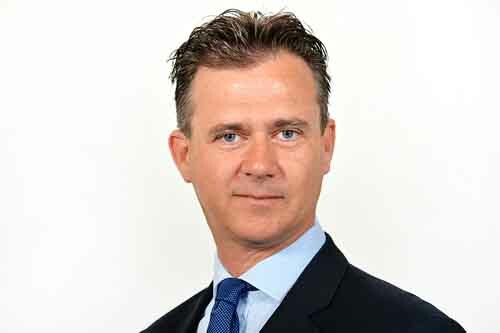 The British minister for the armed forces said on Thursday afternoon nearing the end, said that his inaugural visit to Montserrat has given him a better feel for what the island needs to respond to any eventuality. 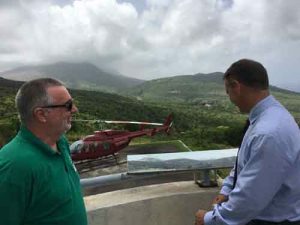 He spent Thursday on island on a familiarization visit meeting with key security military disaster management and government officials. 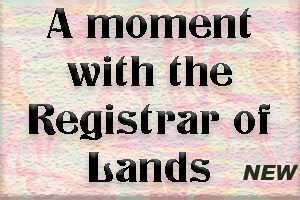 His visit covered several areas to include the abandoned capital Plymouth and a reef laying event at the Cenotaph in Little bay. Speaking with reporters Thursday afternoon at the end of his program, following a demonstration at the Montserrat’s Port Authority involving crew and equipment from RFA Mounts Bay which would be mobilized to assist Montserrat should the need arise, the U.K Minister for the armed forces said his visit underlines the longstanding and close working relationship Her Majesty’s government shares with Montserrat. He added that his visit demonstrated and offered reassurance to Montserrat, echoing Captain Peter Selby, who sat in on the press conference with him, Hon David Osborne acting Premier and H E Governor Pearce, that there should or that should there were to be any emerging situation that Britain was there to help. “We’ve seen that the sort of capability that is on offer which would be able to be provided within those 12 hours the ability to get on the island very much to clear the port and the airport in order to enable further relief,” the Minister said. He continued to announce if not reiterate, plans of wider scale for the region especially the OTs. “Of course the United Kingdom would be to here to support the island in the immediate aftermath of any hurricane but equally I am pleased the U.K. has worked very closely with our regional allies and indeed international allies by helping to fund the new multinational Caribbean crisis center which would enable us to coordinate with other nations, so even if the initial response from RFA Mounts Bay were not to be enough to support the Island, we are confident that within a very short space of time wider international support will also be available,” he said, concluding so hopefully today’s demonstration has shown a reassured Island is a sort of support that is an offer. Later in the evening the Minister was the guest of honour and took part in the handing out of awards to some deserving RFA men. There were two separate awards. Three to the soldiers who received notification that day that they had been promoted from Lance Corporal to Corporal, and the remainder were commendations to some officers including the chef, for their hard work onboard.